The Color of Cold and Ice is exceptionally creative, weaving the many facets of colors and their chakra associations into the story. Author J. Schlenker beautifully writes of intriguing characters who cross paths throughout the novel, and in the end, become important bridges to balance, passion, health and love for each other. The novel opens with Sybil, a wife, sister, the owner of a New York City coffee shop, having another of her prophetic dreams. A dream she could not analyze easily, but at least not one like the nightmares that she had seen come true… like the one in which her sister Em’s husband was hit by an object hurtling down from a crane while he and his young son were walking down the street. But this latest dream was pleasant… strange, but pleasant. Nothing foreboding, but indecipherable. She’s standing next to a canal on a bright summer day with her sister, both in orange t-shirts and jeans, then there’s a shift in the weather to a wintry day with chunks of ice floating down the canal, and a man immune to the cold jumping out of the water to kiss her sister. As The Color of Cold and Ice progresses, we see Sybil’s dream(s) come true and wonder if our own dreams should be paid more attention, to see into the future or just into our selves. Throughout the drama of the novel, we see the doctor who attended Em’s child after the crane accident lose his passion for both his profession and his wife, then find it again through cold therapy and then other alternative, holistic practices that he integrates into his Internal Medicine practice. 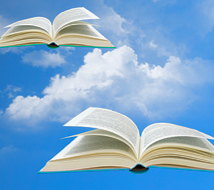 1) Is there an underlying message you’d like readers to take away from reading your novel? I want people to take away whatever message will most help them. Everyone brings their own stuff into play when they read a book. Maybe my muse is directing me to write just one individual sentence that might resonate with someone. I try to stick with what I get myself from writing it and hope those reading it will get what is intended for them. Writing is cathartic. I figure whatever I’m working on is some kind of life lesson that I’m working through. I wrote poems in high school. Then forty years later my husband finds the poems I’ve written and says why don’t you write? That was in 2008. The writing becomes more intense with each year. And, I meet more writers and hopefully learn more as I go. And, I learn from my readers. Also, my intention when I began this endeavor was to write about Sally, a woman I met when I was eight. She was born in 1858 into slavery. She was 103 when I met her. And, now, I’m finally, after three books, writing about Sally. It will be fictional, but is based on my research on her. I think I needed the three books I’ve done for practice in getting to Sally. This project is keeping me really busy. 3) What did you consider the most challenging part of writing this novel? The most challenging part might have been writing the higher chakra colors. Maybe I’m not there, yet. And also, the workshop (on Cold Therapy), as I’ve only taken the Wim Hof online course and haven’t been to Poland. 4) I love how you gave voice to colors… what inspired this? I was taking a writing course and we were given an assignment to write as if we were a color. I chose orange. Having an art degree, I loved this assignment. Then when NaNoWriMo (National Novel Writing Month) rolled around, I thought why not incorporate this into a book. 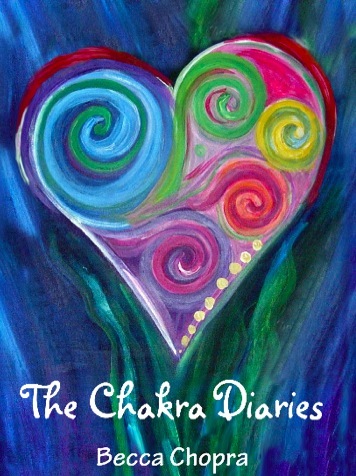 5) What sparked your interest in the chakras and holistic healing (delved into by the doctor in the book)? I know it was in my twenties that I started devouring everything about Edgar Cayce. Perhaps it stemmed from a past life. Hard to say. But I believe in anything natural. I just heard a podcast on the healing of nature. I grew up playing in the woods. I got away from it for a long time, but in the last decade I’ve returned. I love doing yoga barefoot on the grass. Too, I think overall, the medical establish doesn’t take the emotions of the individual into account. I’m a strong believer in we can heal ourselves in most instances. 6) The chakra colors correspond to challenges your characters are facing in the first half of the book… then it’s just the story until you reach white. 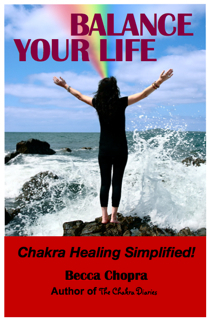 Do you see the resolution of their problems as a result of a balance of their chakras? The short answer would be yes. I tried to keep the colors relevant to the characters, but at the same time, a person is all of the colors. If not, we would be so unbalanced. Maybe one more than another, or maybe a person is working on a particular problem at a point in their life represented by a color. There was a time when all the walls in my house were white. My house was basically bland. Yet, I mostly wore red. That was the color that looked the best on me. Then I went through a change. My house is a salmon color on the outside. The inside walls with the exception of one bedroom which is green, are all stucco orange. And, there is a lot of red, rugs, couch, etc. There is no longer any red in my closet. It’s more varied, but mostly deep blues. I feel colors can really influence us. And as we change, our colors change. 7) What advice would you give to new indie authors? I don’t know if I’m one to be giving advice, but I would say: Write from your heart! 8) What ways can readers connect with you? The Color of Cold and Ice and J. Schlenker’s other books are available on Amazon in Kindle and paperback.